Way to go TAF supporters! 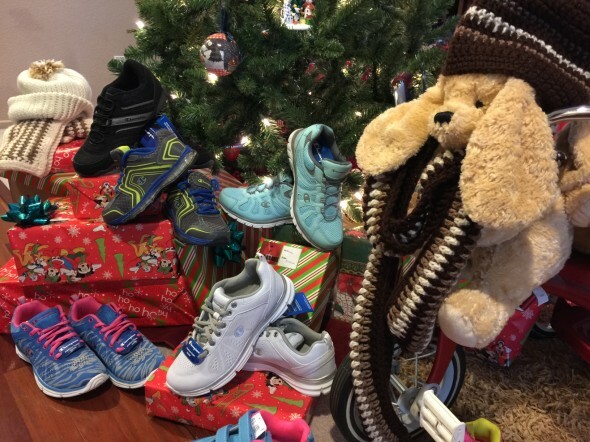 Your donations helped provide 150 pairs of new shoes to children and adults in need! With the help of all the friends of the Balboa Tennis Club, and other friends of TAF, we were able to exceed our goals for this project. Not only did we surpass the project goal of $2,000 (with the TAF match), but we were blessed to be able to buy high quality, new shoes for less than the target $25 a pair. Specifically, we were able to deliver 150 pairs of new shoes the Storefront and Stand Up For Kids (bringing comfort to the many homeless kids living on the streets), as well as the San Diego Rescue Committee (helping welcome brand new immigrant families arriving in San Diego). Other monetary and goods donations were delivered by BTC to support these worthy local causes.